Chassis Number 82EM. 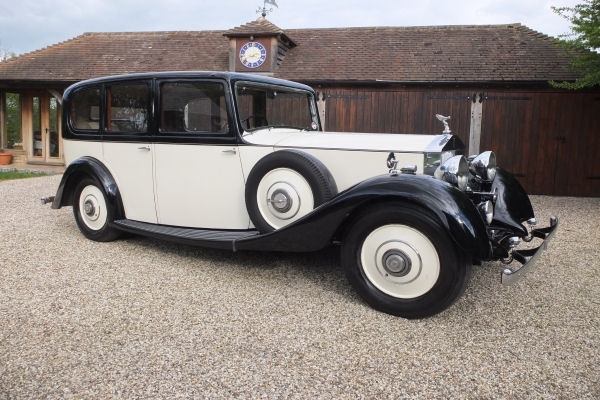 Supplied new with coachwork by Barker & Co and exhibited at the British Empire Exhibition . 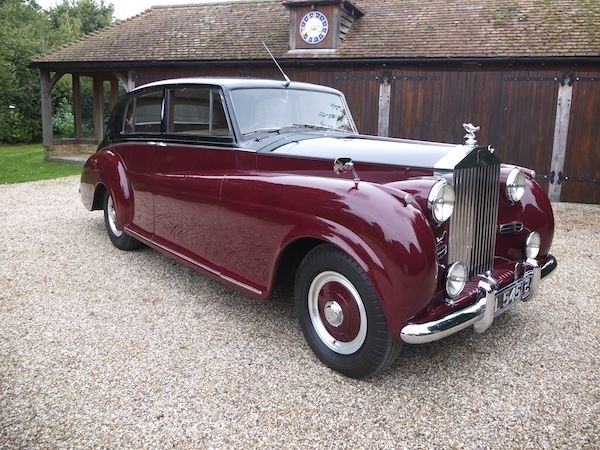 Several owners later the Ghost was fitted with a rather stylish Woody estate car body in 1962. 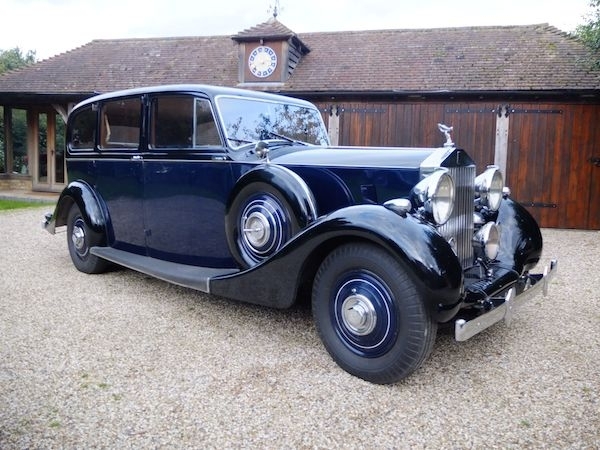 It was one of two Ghosts that were constructed into very authentic armoured cars and used in the film Lawrence of Arabia. 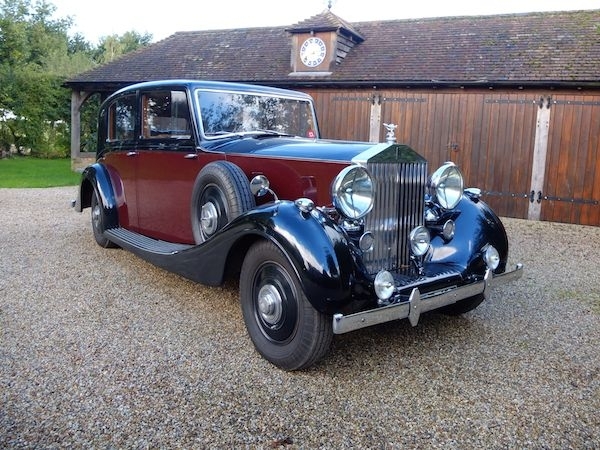 After filming was over chassis number 82EM was delivered to coach builder Jarvis of Bracknell for restoration and re-bodying in the style of a Barker barrel sided sports tourer. 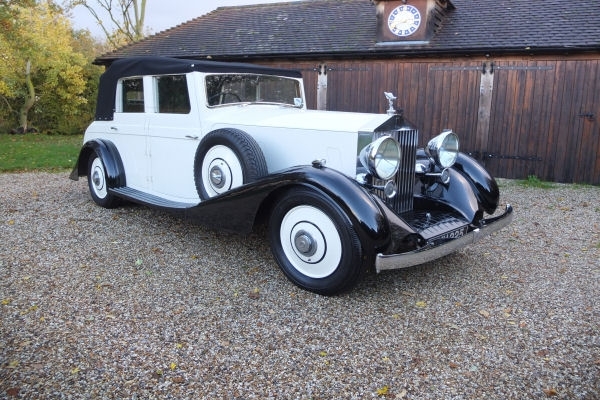 This is without doubt one of the most beautiful body styles fitted to the 1920's Ghost chassis. 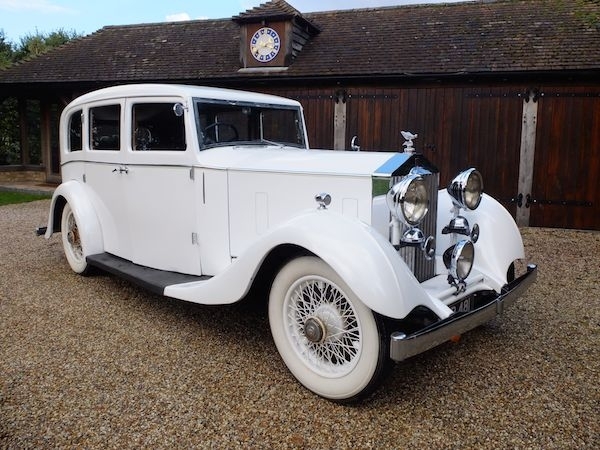 Today the car is in very good order throughout and is finished in cream coachwork with black wings and blue buttoned leather interior trim. 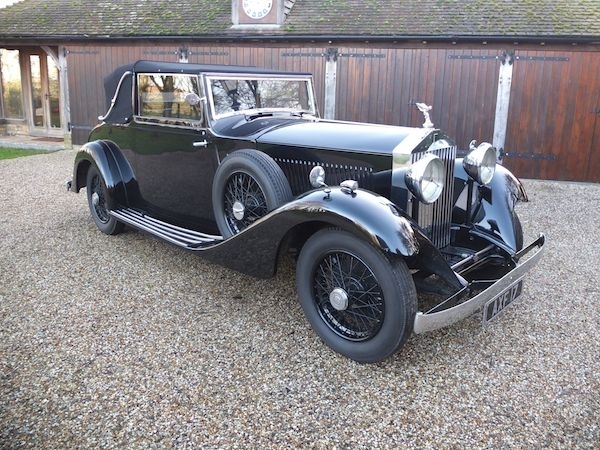 It has a fold away rear Auster screen so ones guests can maintain their dignity whilst travelling at speed. The driving experience is an absolute pleasure. 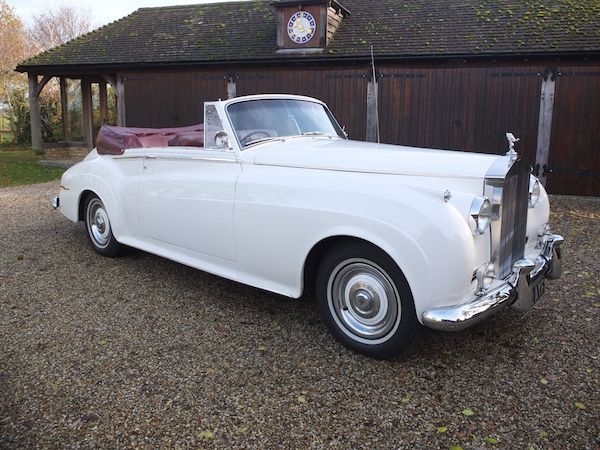 She steers well and the engine is very strong and pulls effortlessly. 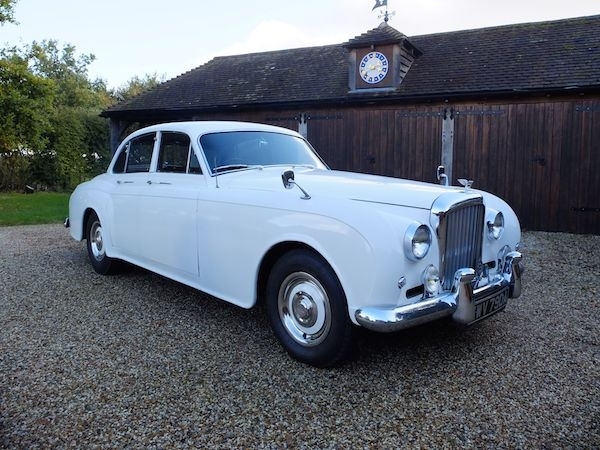 The car comes with an extensive history file that shows regular servicing and maintenance with a new honeycomb radiator recently fitted. 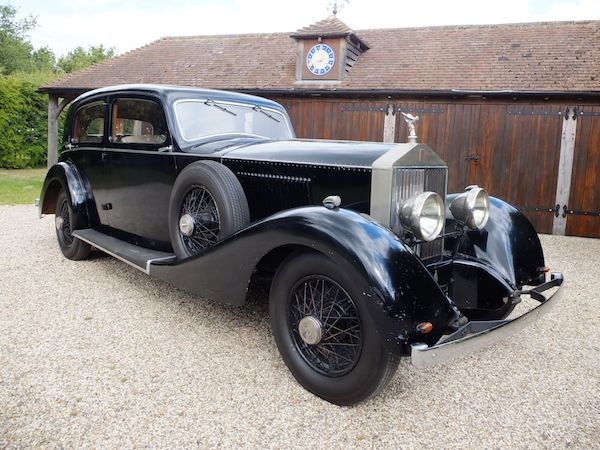 It is becoming increasingly hard to find a beautifully bodied Ghost at a sensible price but you have just found one at £166,000. Manual with overdrive. 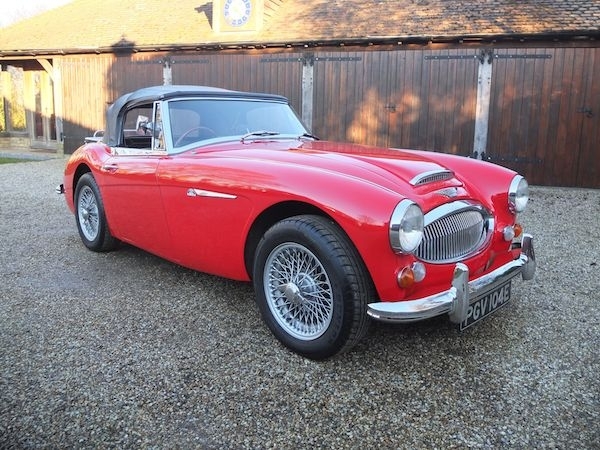 This lovely Austin Healey is finished in Colorado Red with black interior trim and black hood. 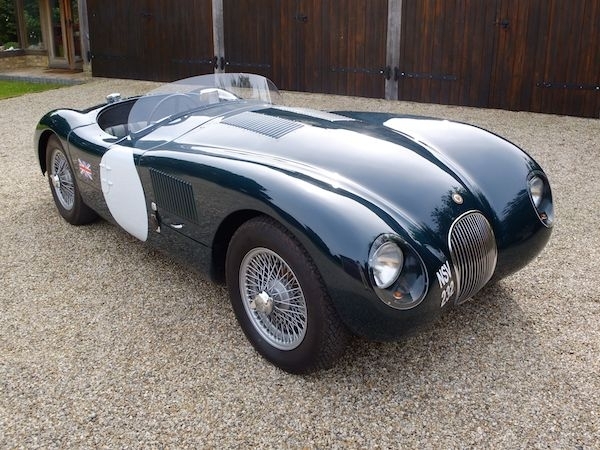 It was originally supplied to America and re-imported to the UK by its present owner in 1996. At that point it was professionally converted to right hand drive. 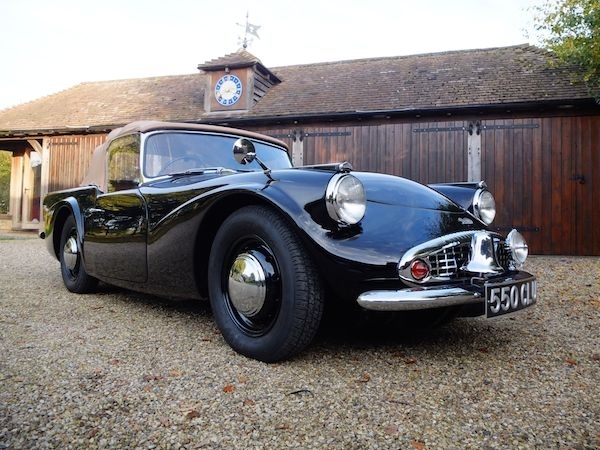 This is a very original car and not restored. 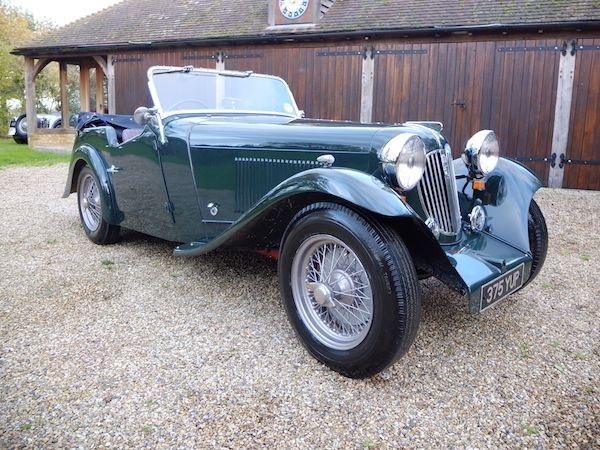 It has had paint work and a new hood fitted and has been well maintained by its present owner for the last twenty two years. On the road it responds well in all aspects and makes for a very pleasant driving experience. 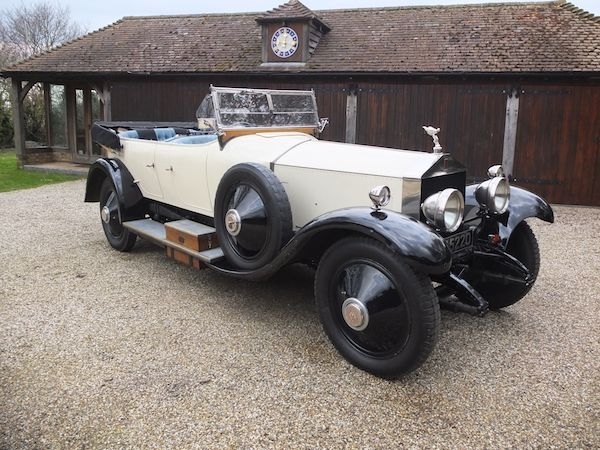 The chrome work, bodywork, underside and interior are all in very good order and the engine is smooth running and pulls well. She is ready for a season of tours and rallies. £55,000. 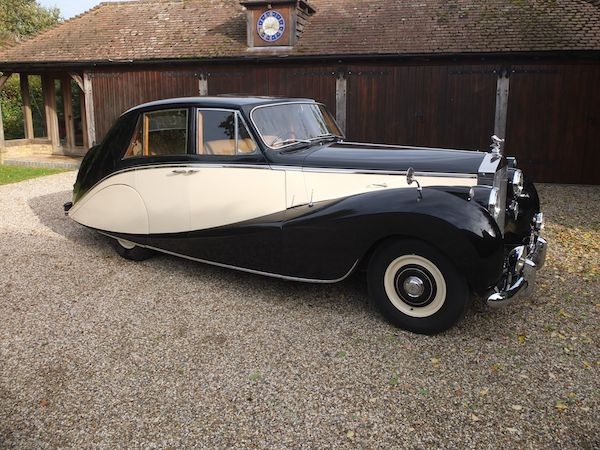 by H J Mulliner. Chassis Number BC138AR. 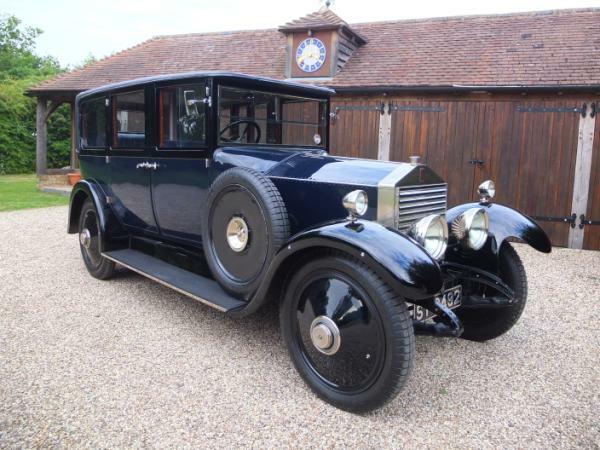 Finished in dark blue coachwork with parchment leather interior trim. 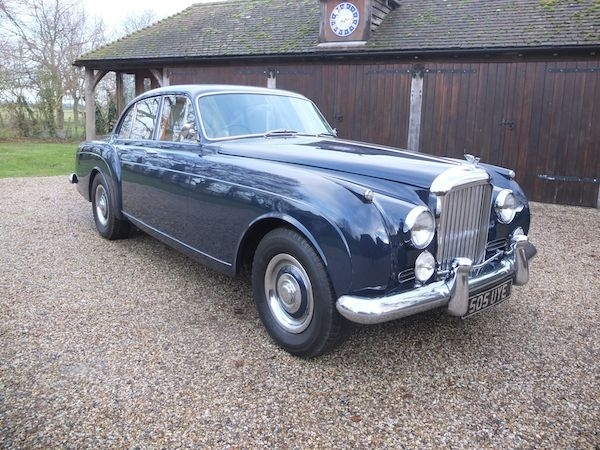 This lovely continental has recently benefitted from a complete bare metal re-paint to a high standard. 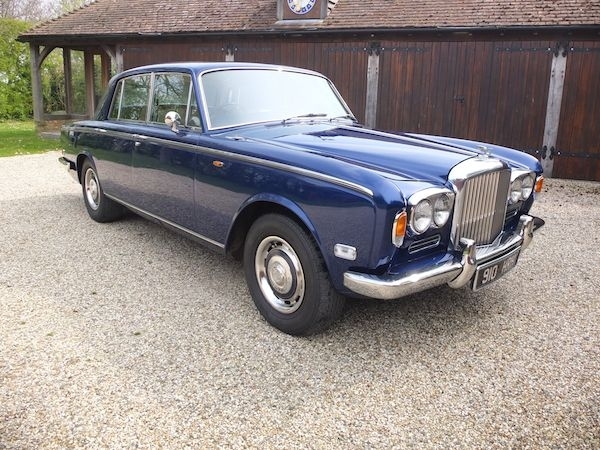 The interior trim is original to the car and in excellent condition throughout. All door cappings and dashboard removed and refinished to a very high standard. The headlining is West of England cloth and in perfect condition and the carpets have been recently replaced. 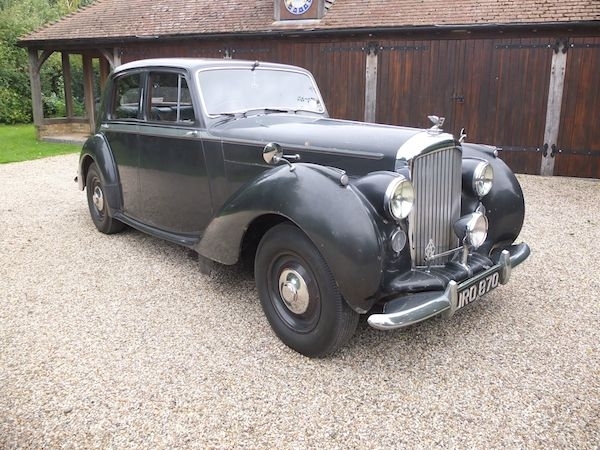 Mechanically the car is in very good order with a comprehensive service history. 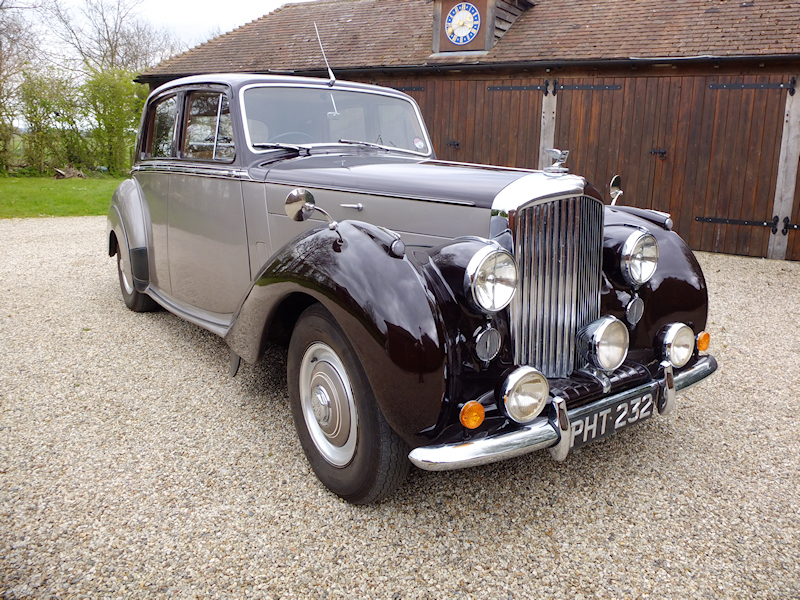 Just the car for long continental rallies and touring holidays. 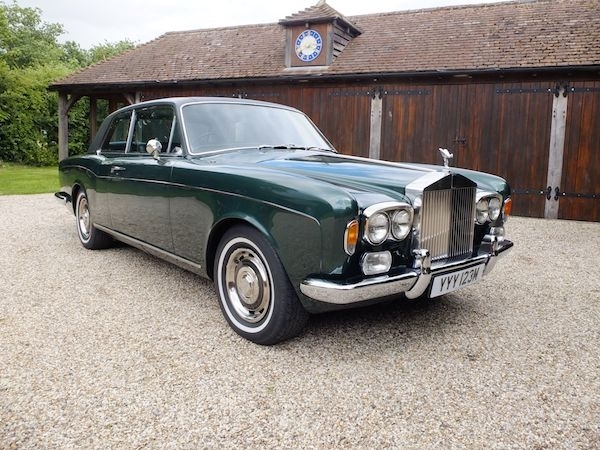 This is a most pleasing and rare car at a very realistic price of £117,500. 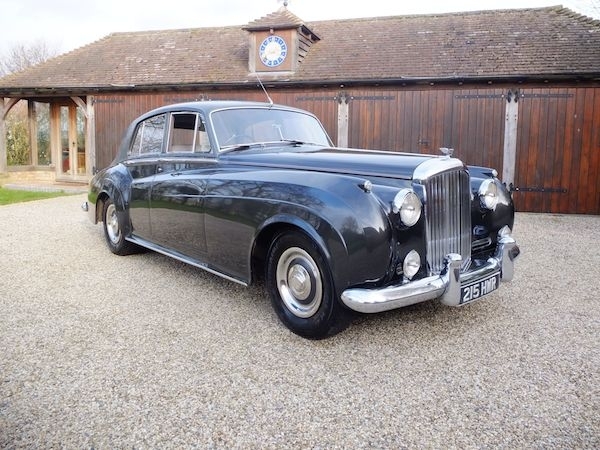 Continental Flying Spur Sports Saloon. Chassis No CSC69C. Delivered new in January 1966 to the Rt Hon R. Nivison. 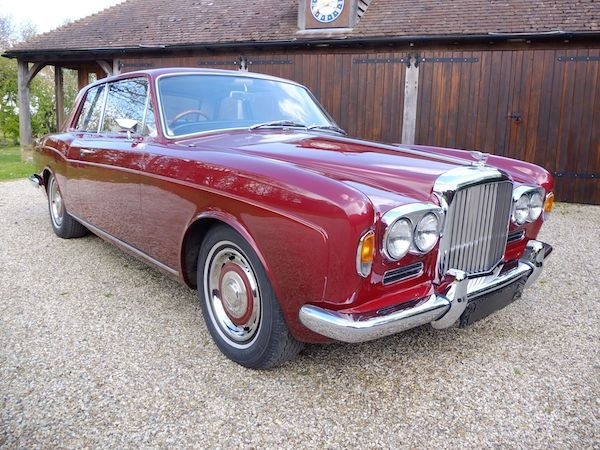 This is the second to last Flying Spur to be built and is finished in its original colour scheme of Rolls-Royce regal red coachwork with beige leather interior trim. This is a nicely presented Cloud that is in very good order throughout. On the road the car responds well in all aspects and gives the driver a most pleasurable driving experience. The interior is nicely finished with very good leather, perfect woodwork, new headlining and carpets. 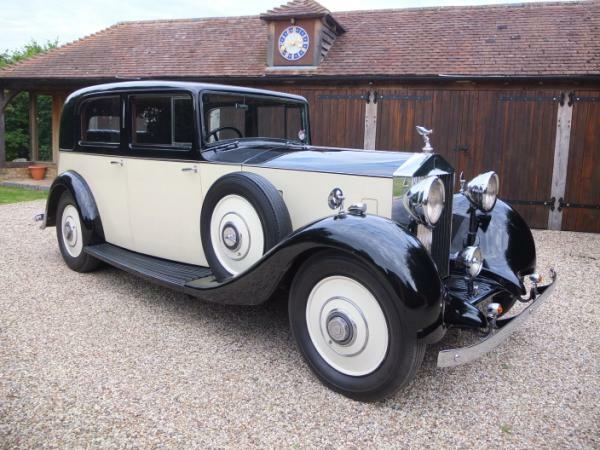 Exterior coachwork is nice and straight and all four doors closing with a reassuring solid feel. 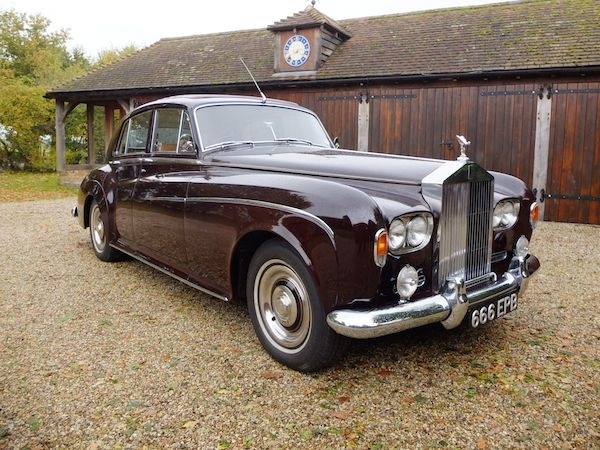 The car is supplied with all tools and a copy of the original Rolls-Royce build sheet. 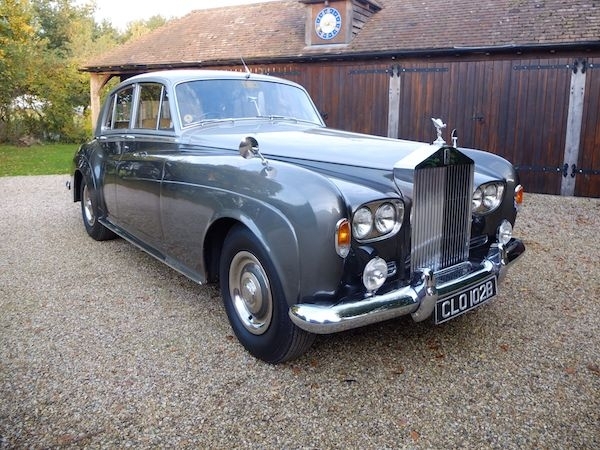 Altogether a very nice Silver Cloud that will serve its new owner well. £167,750. Chassis No. GTL46. 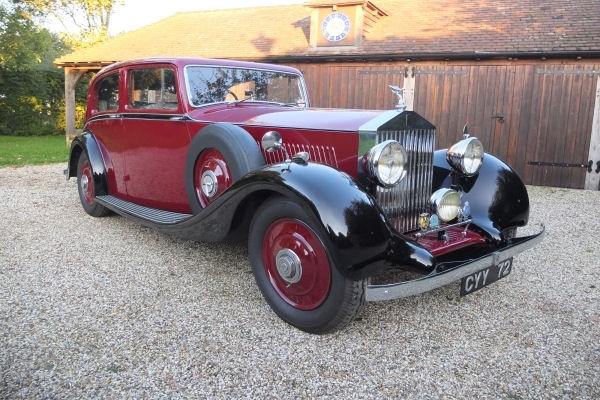 Coachwork by Arthur Mulliner. Finished in black with dark burgundy side panels and dark blue leather interior trim. 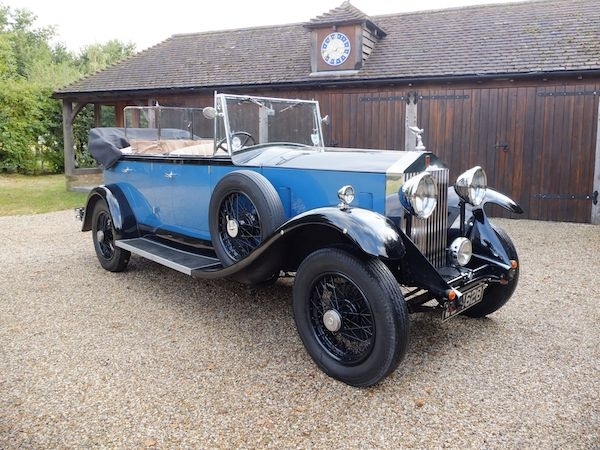 This lovely and original 25/30 has benefitted from a total engine re-build by RR specialists Ristes Motor Company Ltd that was completed in 2016 with invoices on record in excess of £50,000 and has had little use since. 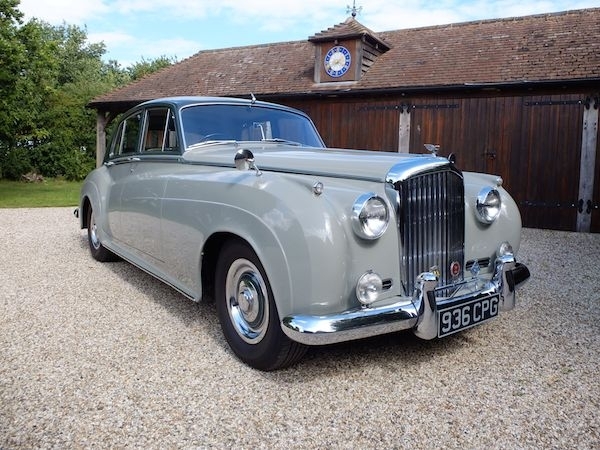 As you would expect this car now drives as it should and was driven one hundred and twenty miles with no issues on the hottest day of this summer. The coachwork and interior are in time warp condition with all doors closing with a railway carriage clunk. 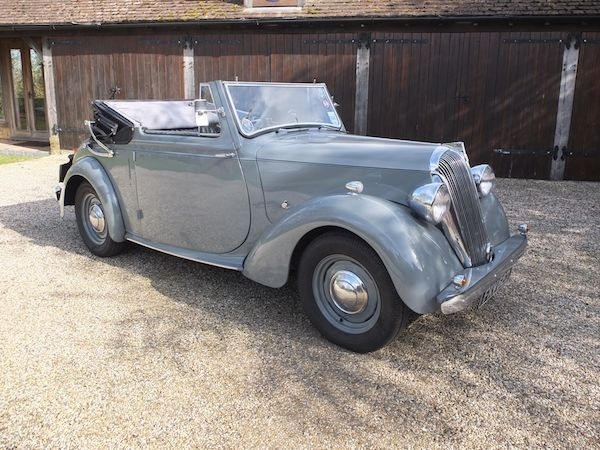 Beautifully appointed inside with many stylish features one of which is the original special order chrome plated dash- board. 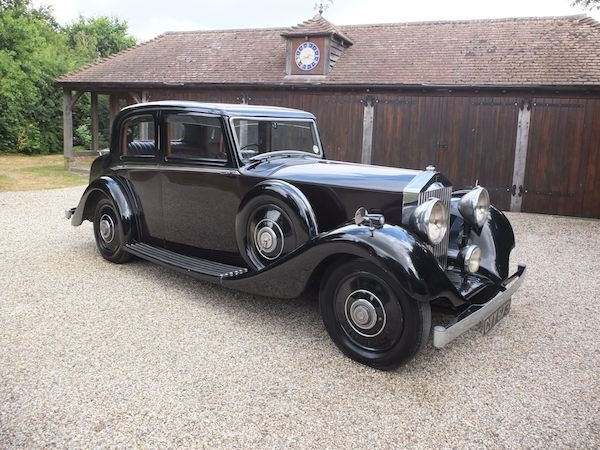 Previously owned by Lord Napier and owned by the current family since 1969. 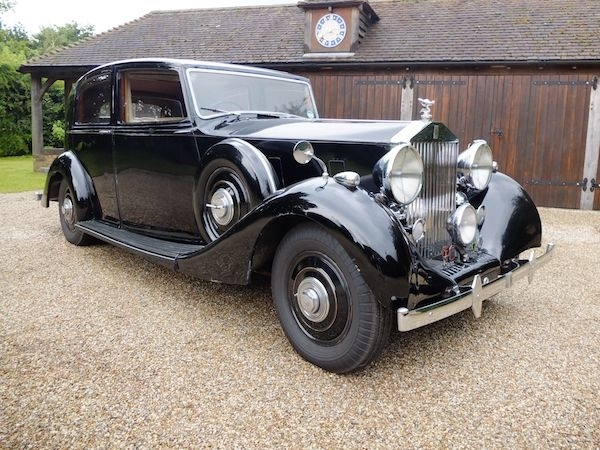 It is becomingly increasingly hard to find unspoiled motorcars like this. Supplied with large tools and a comprehensive history file that dates back to 1967. On the button and ready to drive anywhere. 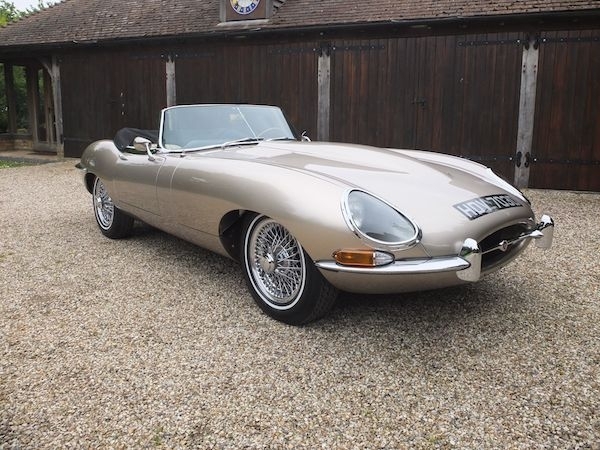 £49,750. 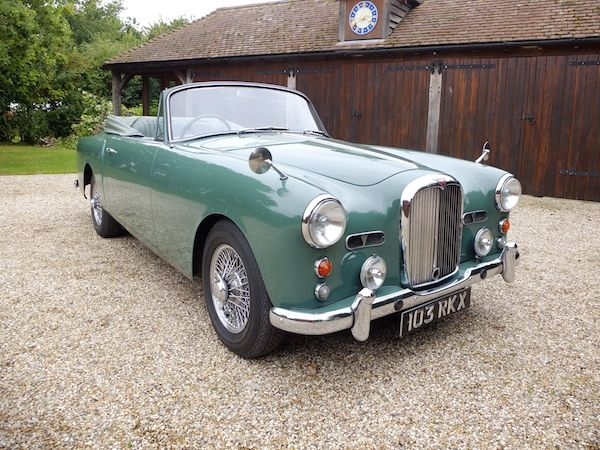 Lenham Healey manual with overdrive. Chassis number BN75609. 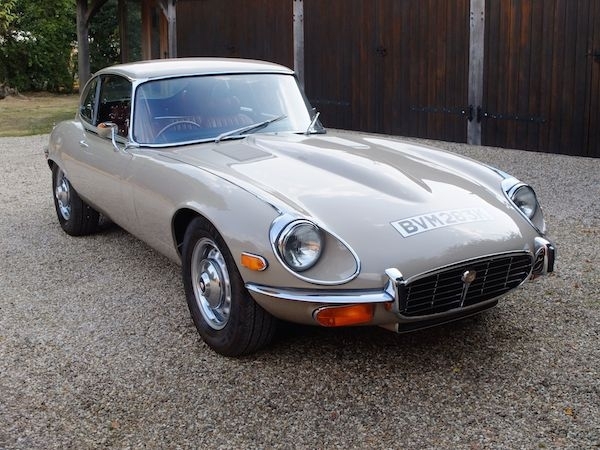 This is one of only 19 cars built by the Lenham Motor Company in the 1970's. 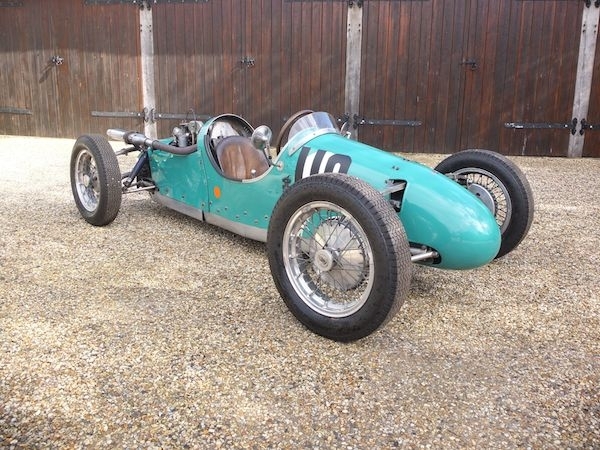 In its early years it competed at the Brighton speed trials 1979/80/81 and Brands Hatch 1979/81 plus Norwich Union Austin Healey outright team winners in May 1986. 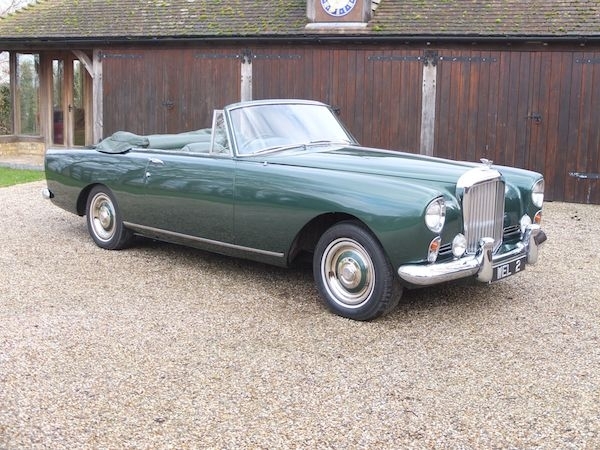 The car is finished in British racing green with black leather trim with a black full and half tonneau cover. The fold flat windscreen has secondary Le Mans screens for the more adventurous drivers. 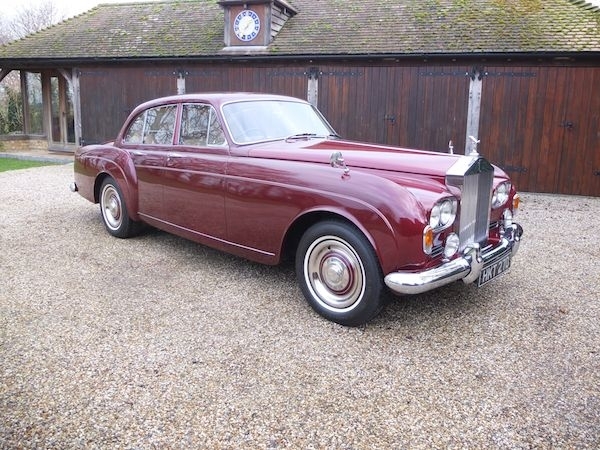 A stainless steel exhaust has been made to fit with large bore piping for a deeper more vintage sound. 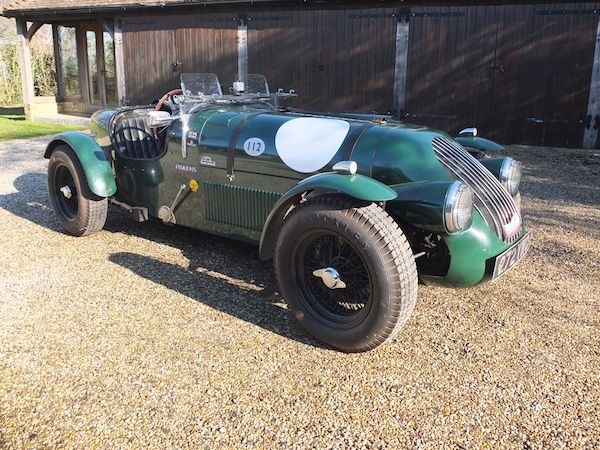 A new set of wire wheels and Blockley tyres were recently fitted. 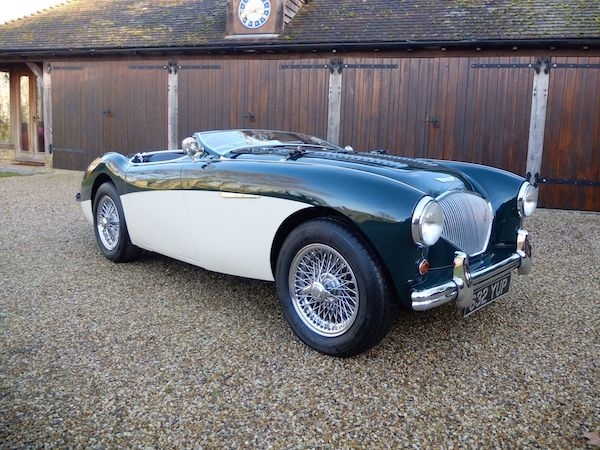 This lovely Healey has all the charm and character of a true vintage sports car. £48,750.